We have taken the opportunity of our winter closedown to refresh our website. We attended a course for small businesses about making the best use of the web and decided to try and put what we learned into practice. We hope you notice (and like) the changes we've made. Bill has been busy making things for the coffee shop. These signals will sit on one of the wall tables along with two others of a different design. 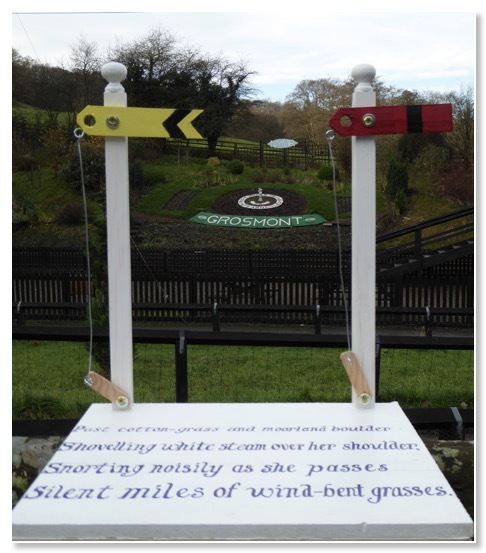 The aim is to catch the eye of visitors as they walk past or arrive on the train. 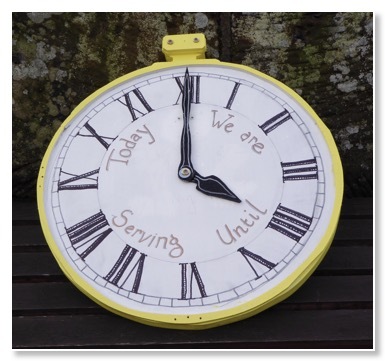 He's also made this 'watch' which will hang on the wall to let customers know about opening times.